Beyond the mirror, the darkest fairy tales come alive.... For years, Jacob Reckless has enjoyed the Mirrorworld’s secrets and treasures. Not anymore. His younger brother has followed him. 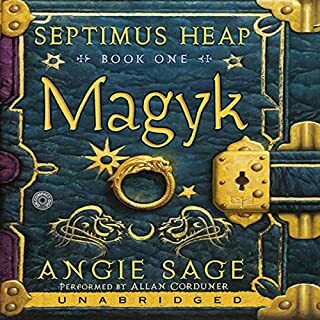 Now dark magic will turn the boy to beast, break the heart of the girl he loves, and destroy everything Jacob holds most dear... unless he can find a way to stop it. Charlie doesn't want to believe it when he discovers that he can hear people in photographs talking. But his horrible aunts are delighted: it means that he is one of the chosen and must attend Bloor's Academy for gifted children. Once there, Charlie realizes that some of his classmates have equally mysterious powers, and soon Charlie is involved in uncovering the mysterious past of one of them. In an evocative and fast-paced adventure on the high seas and on a faraway island an orphan boy named Peter and his mysterious new friend, Molly, overcome bands of pirates and thieves in their quest to keep a fantastical secret safe and save the world from evil. A fast paced frolic on the high seas! What a wonderful book! I thought the story was very original, unpredictable and quite wonderful. I have always liked this narrator and thought he was perfect. All the characters seem quite real and varied. I have a hard time with the negative review posted here, obviously someone who does not like fantasy. Also I have never considered Simon Jones a "soothing" reader -- on the contrary I find him quite invigorating! 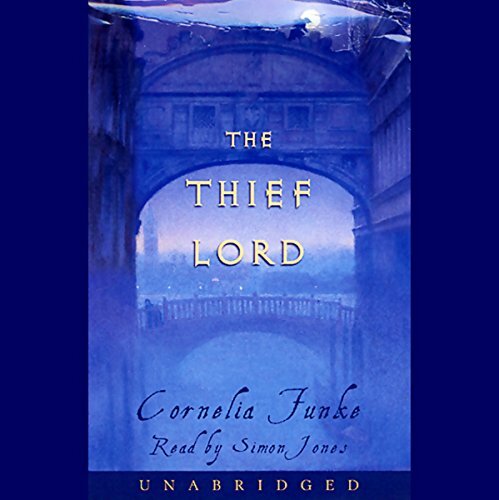 At first I thought this book was a little too much like others about thieving street children, but Cornelia Funke is now one of my favorite writers and her characters are fabulous, alive and fun. Lots of twists and turns - I'm always amazed at her ability to think up so many adventurous plot twists that all come together in the end. Really fun listen. 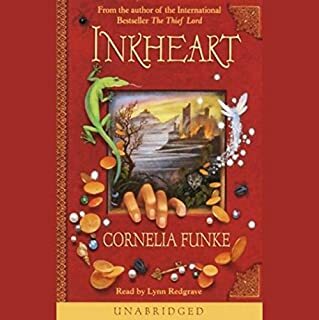 If you haven't listed to Inkheart & Inkspell, though, those are must listens for those of us who love these types of books! And if you like these books and haven't yet listened to "His Dark Materials" (starts with the Golden Compass), by all means do. Not the same author, but great fantasy adventures, too. 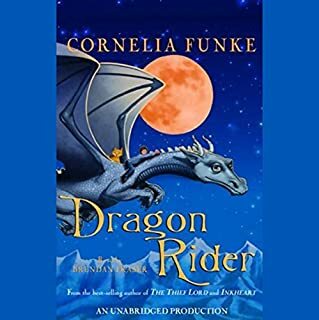 Cornelia Funke does it again! One of my children's most favorit books. The story takes place in Venice, Italy with all its romance and dangers. 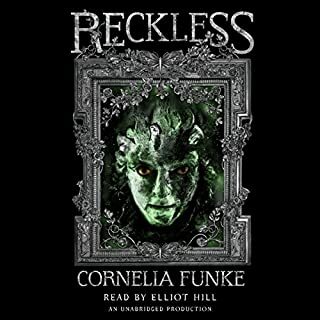 Cornelia spins a story that will keep you inthralled and entertained. A defenate read. 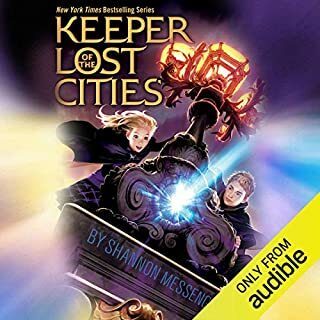 Taking place in Venice, following the story of 2 run-aways, this story takes you on adventures throughout the city while the children live in an old theatre and depend on the Theif Lord for their needs. Good story with alot of heart. My daughter and I loved this book so much we have heard it several times since it was published, and have given it as a gift to many others! Great, imaginative story, wonderful characters, wonderful narrator, all round great success! It inspired my daughter to do a project for school on Venice and to ask many times to visit! I hadn't read this book before purchasing the audio tape, and it wasn't quite what I'd expected based on the blurbs. The plot is good, but I had thought there would be more elements of fantasy in it. Also, because of the number of characters in the book and their unusual names (the book was originally written in German, though most of the names are Italian), I had difficulty following the plot while driving. 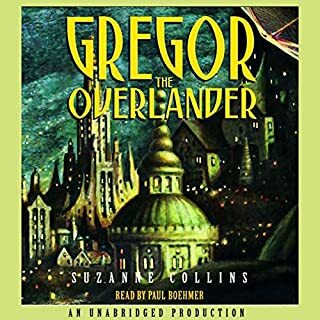 The narrator, though good, was also a bit too soothing for my alertness level. Coming back to this from reading it as a child was such an amazing experience. The magic of it just filled me with child like wonder of Venice. I highly recommend this book. It may be a children's book; however, it has enough intrigue for any adult. A great listen with your children on a trip or to and from school! A wonderful book. Much enjoyed. Fascinating story, beautiful language and beautifully written. My daughter listens to it over and over.